The phenomenon of national identities, always a key issue in the modern history of Bohemian Jewry, was particularly complex because of the marginal differences that existed between the available choices. Considerable overlap was evident in the programs of the various national movements and it was possible to change one’s national identity or even to opt for more than one such identity without necessarily experiencing any far-reaching consequences in everyday life. 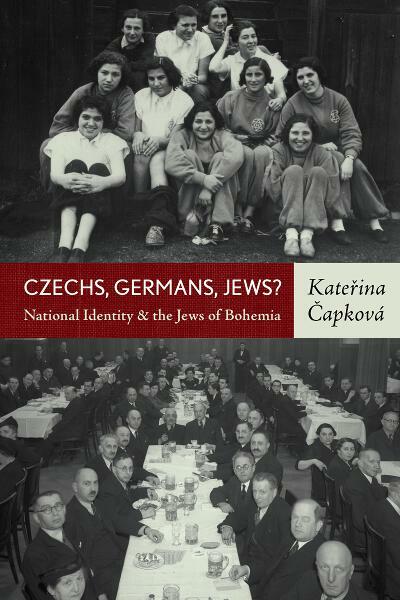 Based on many hitherto unknown archival sources from the Czech Republic, Israel and Austria, the author’s research reveals the inner dynamic of each of the national movements and maps out the three most important constructions of national identity within Bohemian Jewry – the German-Jewish, the Czech-Jewish and the Zionist. This book provides a needed framework for understanding the rich history of German- and Czech-Jewish politics and culture in Bohemia and is a notable contribution to the historiography of Bohemian, Czechoslovak and central European Jewry. Kateřina Čapková is a research fellow at the Institute of Contemporary History, Prague, and teaches Modern Jewish History at Charles University and NYU in Prague. With Michal Frankl she is the co-author of Nejisté útočiště, a book about Czechoslovakia and refugees from Nazi Germany (2008, in German 2012).